Melbourne may not have a big, beautiful bridge or an iconic Opera House, but there is good reason that The Economist magazine has named it the most liveable city in the world for 7 consecutive years (Sydney is not even in the top 10 liveable cities of the world. 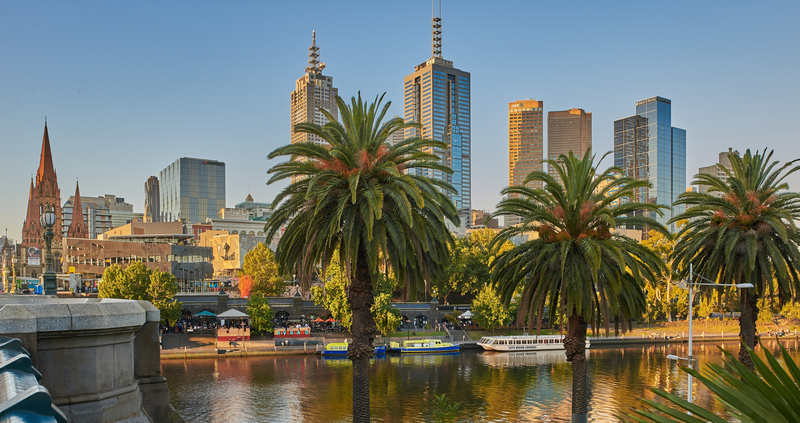 Melbourne is also one of the happiest cities in the world. Melbourne is a large, clean, safe, multicultural city, and the drivers are much nicer than in Sydney. The alleys and laneways of the city are not only safe to walk around (day or night), but are actually much loved tourist attractions with vibrant street art. Thanks to it’s diverse ethnic mix, the food and coffee culture is rich and delicious. There are free trams to take you around the city centre/downtown area and the shopping is considered the best in Australia. Major parks and sporting facilities are walking distance from the city centre. The weather in March is usually dry and warm, but Melbourne’s weather is quite changeable so anything (except snow) is possible. Further afield, there are interesting suburbs that are easily accessible by suburban trains or trams (By a plastic Myki card when you arrive to easily use the public transport system). Brighton (20 minutes) has beautiful beaches lined with colourful “Beach Boxes” (Victorian timber bathing cabins). Prahran (say PU-Ran) (10-15 minutes) is young, hip, gay-friendly and quirky. Saint Kilda is similar, with a bit more grunge, and a sea-side location. Carlton is an inner-north, University suburb and the centre of the Italian community. Williamstown is a quiet, village-like seaside suburb in the west, easily reached by train. Further afield, the State of Victoria has some amazing sights. There are day tours by bus, but some (like the Great Ocean Road) deserve longer if possible. The Great Ocean Road, Dandenong Ranges (and steam train Puffing Billy) or the Little Penguin Parade at Phillip Island are probably the best known. But those wanting something a bit more off the beaten track could visit the goldfield town of Ballarat, then Halls Gap in the Grampians National Park for a mixture of history, wilderness and beauty. Or consider visiting the historic river port town of Echuca on the largest river in Australia, the Murray River, where it’s possible to do multi-day cruises by River Boats. From North America, direct flights are available to Melbourne from Los Angeles, San Francisco, Honolulu or Vancouver. Dallas to Sydney (direct) and Houston to Auckland (NZ) are also direct flights with easy connections to Melbourne. Direct flights to most Asian and Middle Eastern capitals provide connections to Europe and beyond. 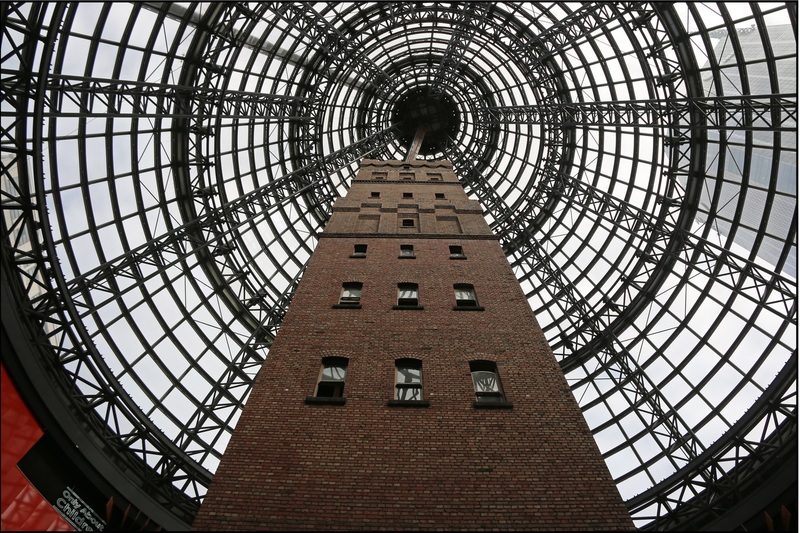 The glass domed former Shot Tower, Melbourne Central Shopping District.